Files with bdh file extension can be found as includes for Silk Performer utility. What is bdh file? How to open bdh files? The bdh file extension is used for an include file type or script used by the Silk Performer performance and load testing utility. The original developer of this tool was Borland. A Silk Performer is now owned by Micro Focus company. 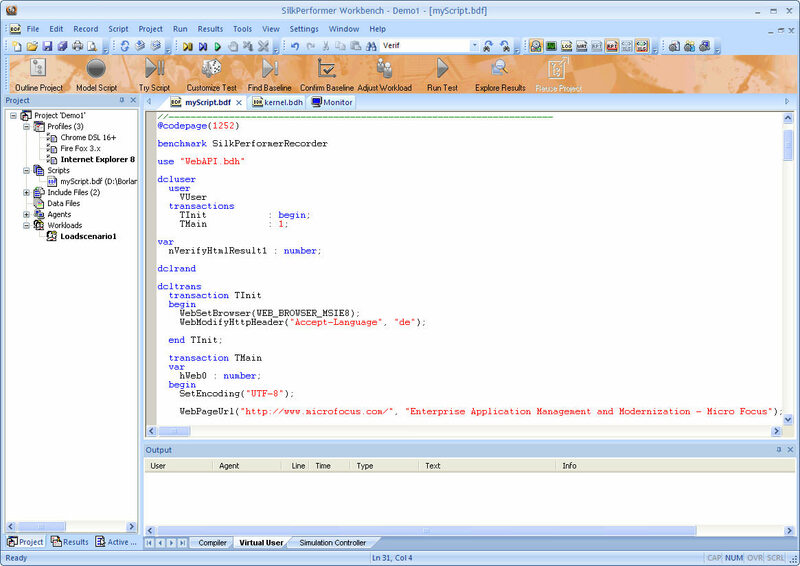 Silk Performer is a tool for load testing and application performance testing. It delivers realistic, dependable performance tests across the latest technologies by simulating loads and network speeds for web, enterprise, and mobile applications. You can most likely view or edit these *.bdh files using any text editor. and possible program actions that can be done with the file: like open bdh file, edit bdh file, convert bdh file, view bdh file, play bdh file etc. (if exist software for corresponding action in File-Extensions.org's database). Programs supporting the exension bdh on the main platforms Windows, Mac, Linux or mobile. Click on the link to get more information about Silk Performer for import bdh file action.